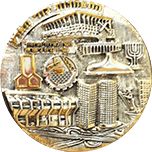 The late Yitzhak Lazarovich, a native of Romania who immigrated to Israel in 1951 was among the top contractors in Israel and a long time member of the Association of Contractors and Builders in Tel Aviv – Jaffa- Bat-Yam. During his 50 years years as a contractor in the country, Yitzhak initiated and managed dozens of projects and escorted hundreds of residents as they received their new apartments. For his contribution in building the country, he has won numerous awards. In 2003, he was awarded the title of “multi-contractor”, an award given to few contractors by the president of the Association of Contractors and Builders in Israel as a show of appreciation for the contractor’s extensive activity, seniority and contribution to the community. From 1952 to 1954 Yitzhak worked in Solel Boneh building houses for settlers in Moshav Ben Shemen. In 1954 he joined the Army and served in the Engineers corps. From 1955 to 1977 Yitzhak carried out works as an independent contractor for water infrastructure such as ducts etc. in various moshavim and kibbutzim across Israel. He worked for “Diur Laoleh”, a government owned company responsible for the development of accommodation for the many immigrants who came to Israel during those years. Yitzhak also worked as a general contractor for the Jewish Agency, carried infrastructure works for the Ministry of Defense as an independent contractor and installed extensive networks of water and sewage lines for the cities of Jerusalem and Tel Aviv. 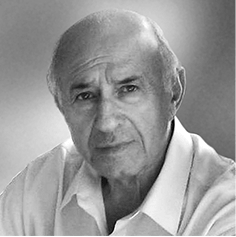 As a managing partner in “Pal-Diur”, a real estate development company he founded in the 1970s Yitzhak developed 16 residential buildings in Netanya. He also founded and managed “Pal-Beton”, a factory for the manufacturing and supply of concrete. In 1978 Yitzhak founded LAZ-ROM together with his wife, Aviva.